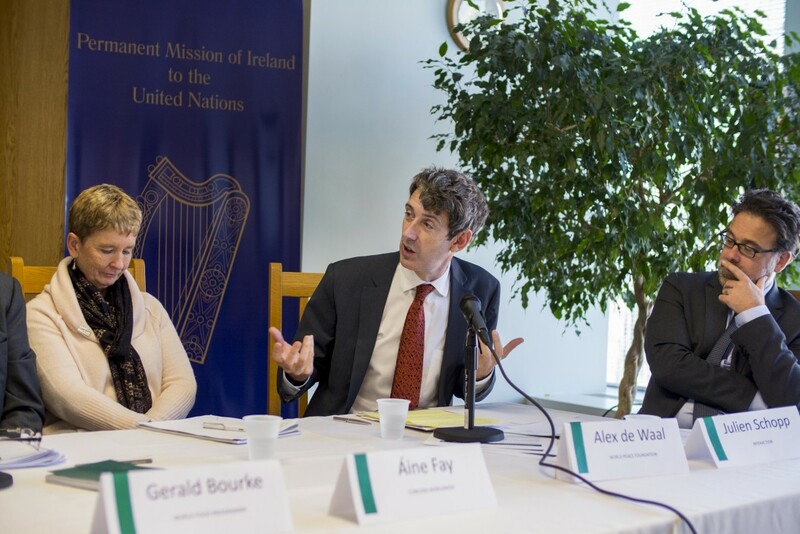 Recently, a panel of experts gathered at the Irish Mission to the United Nations in New York for the launch of the 2015 Global Hunger Index report and discussed the challenges of addressing hunger in conflict and what needs to be done to move forward. Over the past decade, the Index, a joint effort of Concern Worldwide, the International Food Policy Research Institute (IFPRI), and German NGO Welthungerhilfe, has measured and tracked the state of hunger across the world. 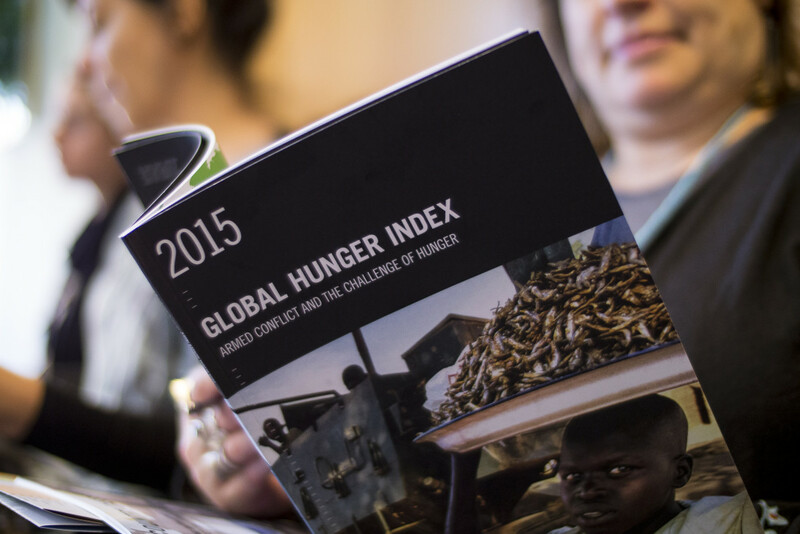 The 2015 Global Hunger Index. Although substantial progress had been made, hunger levels remain unacceptably high, as 795 million people across the world continue to go hungry. This year’s report analyzes the relationship between armed conflict and hunger as 40 countries have been affected by internal conflict since 2000 and 60 million are currently displaced as a result. Populations living in conflict areas are three times more likely to be undernourished than those in peace. In his opening remarks Ambassador David Donoghue, Permanent Representative of Ireland to the United Nations, observed that although much has been achieved in pursuit of the Millennium Development Goals, the world has not yet conquered hunger and famine. The Sustainable Development Goals (SDGs) are a new and inclusive agenda to achieve progress, but unless less armed conflicts are addressed and ended, we will lose the international development game. Panelist Summer Allen, Research Coordinator in Markets, Trade and Institutions Division at IFPRI, noted hunger is multifaceted, and its measurement should consider food supply, child undernutrition and child mortality. Despite progress, eight countries continue to experience alarming levels of hunger, seven of which are currently undergoing or have recently experienced armed conflict, and over a dozen countries, most of them undergoing conflict, lack data to measure hunger. Ms. Allen stressed the importance of having updated data in order to target the most needed. 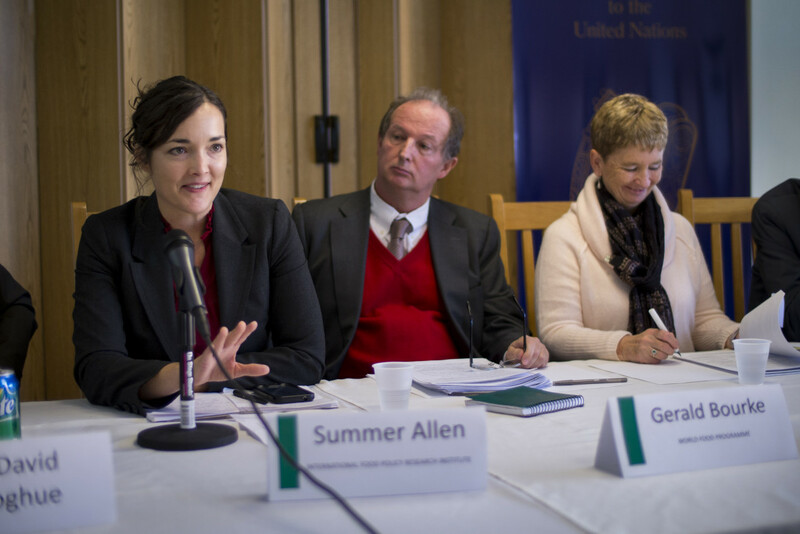 Summer Allen of the International Food Policy Reseach Institute at the launch of the 2015 Global Hunger Index in the Irish Mission to the UN, New York on Monday October 19th. Gerald Bourke, Senior Communications Officer at the World Food Programme, discussed why WFP sees the Sustainable Development Goals (SDGs) as a huge opportunity but also as a huge challenge. Populations living in conflict areas are three times more likely to be undernourished than those in peace, and there is a great urgency to address these crises, which are crippling WFP’s capacity to focus on long-term strategies. There is a need to devote more attention to tackle the root causes of hunger: to increased agricultural productivity, social protection, empowerment of women and youth, private sector investment, technological innovation. Achieving this will require public and political will. One of the greatest achievements of the past 50 years has been the elimination of calamitous famine… an achievement that has gone almost unnoticed. With 42% of the world’s poorest living in countries experiencing instability, “Concern is moving more and more into areas of conflict,” stated panelist Áine Fay, Concern Worldwide US’s President and COO. Addressing hunger is a key aspect of Concern’s programming, including nutrition interventions for children under five and for pregnant and lactating women, and Concern is committed to staying after the emergency has ended to help build the resilience of populations to future shocks and stresses. One of the greatest challenges for Concern and many other NGOs is the ability to access vulnerable populations during conflict. Alex de Waal of the World Peace Foundation at the launch of the 2015 Global Hunger Index in the Irish Mission to the UN, New York on Monday October 19th. Though hunger in conflict seems to be on the rise, Alex de Waal, Executive Director at the World Peace Foundation, believes there is a reason to be optimistic. One of the greatest achievements of the past 50 years has been the elimination of calamitous famine (those that cause over 1 million deaths), an achievement that has gone almost unnoticed. However, the threat of famine remains, often due to the blockage of humanitarian assistance during conflict. During his presentation, de Waal called for greater pressure be put on parties to conflict to respect international humanitarian law. Additionally, he felt that donor country counter-terror legislation handicaps international agencies and is an unnecessary impediment to the delivery of humanitarian assistance. The event was then opened to audience questions and ended with a collective appeal for greater accountability and more action to address the root causes of hunger.